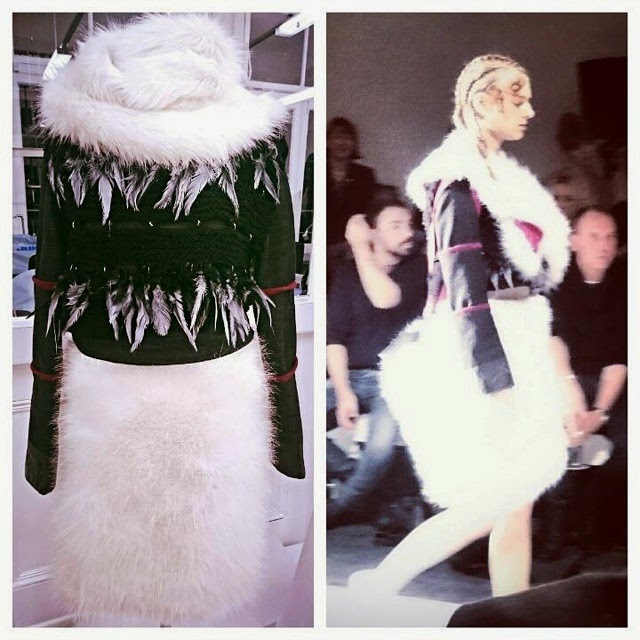 The Christmas fashion show 2014 had some interesting pieces in there. As you can see from the picture above that was my own garment that I made to go in to the fashion show. Materials: Faux fur, sprayed feathers, wool, yarn, big weaved fabric (which I can not remember its name at the moment) and black acrylic paint with latex. I was very happy with my result and hopefully some good images and a video of the show will be uploaded within a week. I made two accessories to go with my outfit which was a faux fur scarf and a bag. 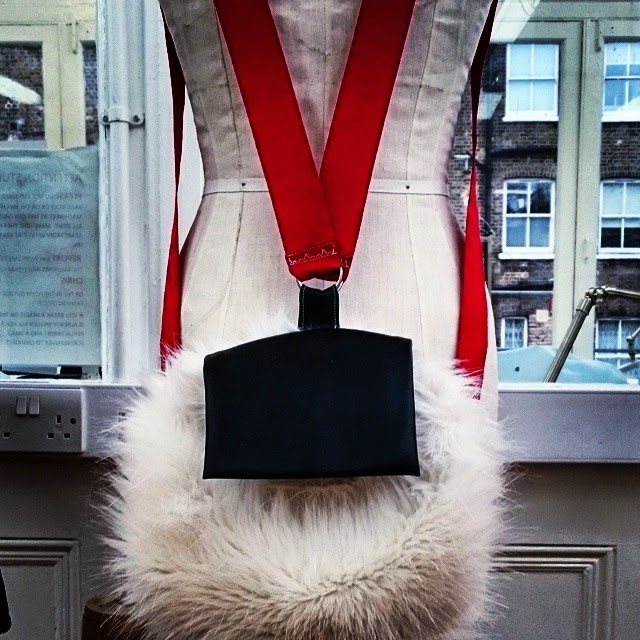 The bag is made with: faux fur, leather and webbing.